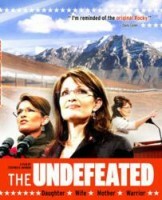 If you are looking to see a film that accurately depicts the rise of Governor Sarah Palin, the team that she assembled and their accomplishments, I would urge you to find your local Reelz channel and tune in on Sunday night at 8:00 p.m. ET and watch “The Undefeated”. Reelz will show encore performances of “The Undefeated” on Monday night at 10:00 p.m. ET and Sunday, March 25th at 5:30 p.m. ET. It’s been a tough week for Palinistas out there, including me. With the exception of a few concerning comments Sarah made in a recent conversation with Greta van Susteren, I still expected her to jump in to the race for the GOP nomination. Instead, she announced on Wednesday that she will not be seeking the GOP nomination, nor would she mount a challenge on a third-party ticket. So, does that end it? For me, the answer is NO. Sarah released her statement and, at the very same time, joined Mark Levin at the very beginning of his radio show. 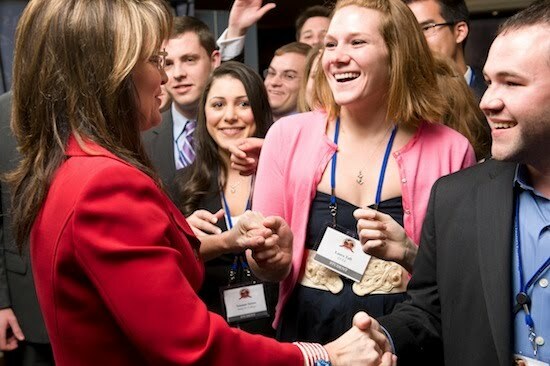 During her conversation with Mark, she stressed that fact that she will be out there helping common-sense conservatives get elected and doing everything she can to put an end to the Obama administration. I think that deserves at least one, big fist-pump, don’t you? Entertaining the thought of running for the Presidency has to be a daunting thing, especially for someone who views public service with “a servant’s heart”. I think we can all attest to the fact that blind ambition fueled the rise of Barack Obama. What’s chilling is the fact that he pursued the Presidency after voting “present” on many, many issues. Now that he’s in the Oval Office, what has he done? Well, for starters, he gave Harry Reid, Nancy Pelosi and Timothy Geithner free reign to write the trillion-dollar stimulus bill, which, I might add, had absolutely no effect on our economy. After that, he abdicated his leadership and allowed Harry Reid and Nancy Pelosi to write his own signature legislation, which we now call Obamacare. Now, he expects Congress to pass his jobs bill, which is just more of the same spend, spend, spend mentality! 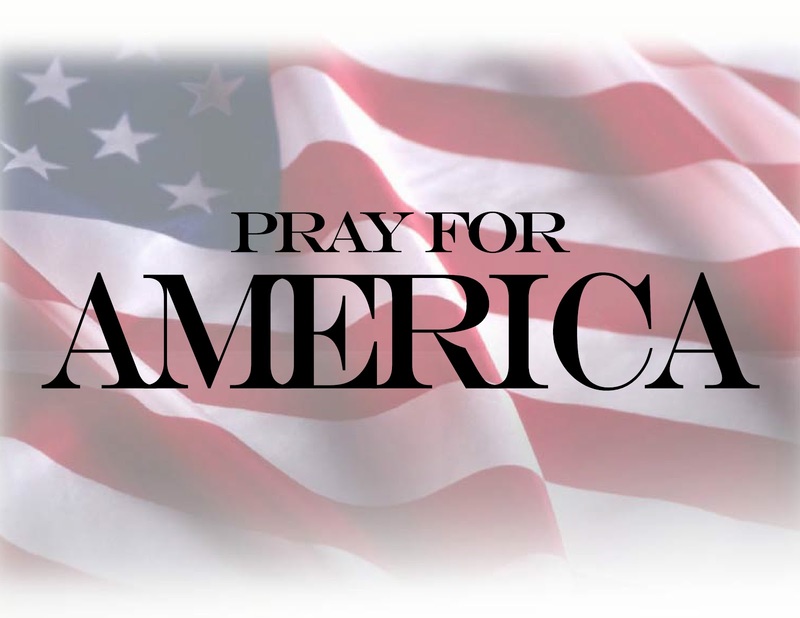 Today, as we witness the protests on Wall Street and other financial centers throughout the United States, we must keep in mind one thing. Barack Obama’s roots are as a “community organizer”, or, better put, a community agitator. He has purposely supported anti-capitalist protests by giving sympathy to their cause, suggesting that their grievances are legitimate. By so doing, he has supports anti-American sentiment in our own country. The irony of these protests comes with the death of Steve Jobs, founder and visionary leader of Apple Computers. Steve Jobs exemplified the power of free-market capitalism to transform our lives and yet the protesters want to limit an entrepreneur’s ability to succeed. Their stated goal is to strip the entrepreneur of the rewards of his or her success by levying a heavy tax on a company’s profits. In essence, they want to eliminate the entrepreneur’s motivation to succeed. This is complete madness! To give these protesters a little history, Apple Computers was started in the garage of Steve Jobs with the help of Steve Wozniak. Together, these two individuals revolutionized the computer industry in ways that historians will look back on in amazement. As of the latest reports on the company, Apple Computers employs 49,400 people, 12,000 at their corporate headquarters alone. If anything, we should be cheering on the entrepreneur. They are the ones who will bring our economy out of this terrible slump, not government. We need to trust Sarah now, as we have in the past. I have no doubt that she’s got some plans up her sleeve that will make us all proud. …and that’s my two-cents worth for the week. Sarah Palin told us all to keep our powder dry. Who on earth says that? Well, no commander would tell their troops to keep their powder dry if he (or she) wasn’t intending to use that ammunition for a specific purpose. Despite our best intentions, we do not know what the commander’s plan is, nor should we. If we did, we could subject it to ruin. Do you remember hearing about one of the public maxims during WWII? “Loose lips sink ships!” This was a reminder to everyone that they, too, had a responsibility for maintaining our security during the war. Such is the reason we trust in our commanders. One of the things that troops are expected to do as they await battle is to ready themselves. They make sure that their weapons and other equipment are in tip-top working order. They maintain their fitness, not knowing when they’ll be called upon to take themselves to the limit. They often keep journals to provide both themselves and their loved ones with a chronicle of their experiences. They develop strong bonds with fellow soldiers, for that fellowship will be needed in battle. They practice and drill to make sure that their skills do not fail them under fire. Seldom does someone like Ronald Reagan, or Sarah Palin, come along. It is fitting that we honor the 100th birthday of this great man. As those of you who follow us know, Sarah Palin gave a speech sponsored by the Young Americas Foundation to kick off a weekend of celebration of Reagan’s 100th birthday, which is today. In her speech, Gov. 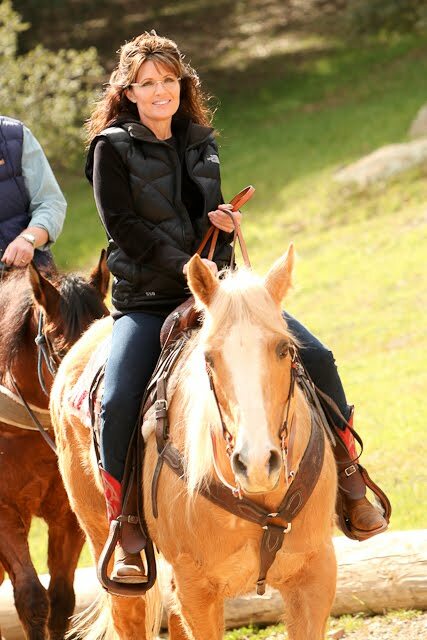 Palin talked a bit about her experience when she visited the Reagan Ranch earlier that day. A wonderful (and accurate) account of this by Andrew Coffin can be found at BigGovernment.com. With Bristol and her son Tripp, as well as Willow and Trig, Sarah Palin enjoyed so much of what this place had to offer. But also she gave back to those at the ranch and the Young Americas Foundation. She met with the students and spent time with everyone there.